Business owners are busy people, so making website updates and staying on-trend with your website’s design are probably pretty low on your priority list. However, a web presence is still very important for drawing in new customers in this day-and-age, so one of the best ways to do that with ease is by building your website on WordPress–a website interface known originally for its prowess as a blogging platform but has now grown into a a massively successful content management system. So why WordPress? Let us break it down for you! Not everyone has enough time (or interest) to learn how to properly code or manipulate the back end of a website. WordPress makes simplifies the process with a simple, easy-to-navigate interface that even the biggest beginner can master with no trouble. WordPress is also flexible as far as customizing it, and offers a variety of easy-to-install plugins and widgets that help to create a great looking website that is easy for you and your customers to use. WordPress is also a browser-based interface, so you can make updates to your site from anywhere! WordPress development is fairly easy when you stick to the basics. Even if your WordPress website is professionally developed, maintenance is easy as can be. WordPress has a clean and easy-to-crawl back end–the coding is simple so that search engines can read websites’ content and index the site in it’s categorical search results. Each page, post or image can be customized with its own meta text, keywords, tags, descriptions, page titles, and more. 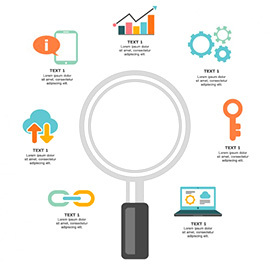 There are even plugins available that help to streamline the search engine optimization process, which is super helpful to business owners who choose to do their SEO on their own. Because WordPress’s structure is inherently very scalable, you can continue to add pages as they become relevant to your business. Open a location for your business in Houston? Create a page for that city! Beyond that, you can create pages about your services offered in each city, as well as make them for other areas that you offer your services. You can also add a blog to your website, which is what many WordPress users do, seeing as the interface was originally built to host blogs. There are a variety of plugins available to help you customize your blogs to best benefit your business in your respective industry. At Thee Houston Web Design Agency, we are committed to helping our customers find success online! For us, that means developing a well-optimized and highly-converting website on WordPress, and continuing that success with a variety of digital and inbound marketing tactics. Our Houston web design and internet marketing professionals are here to help you! Give us a call at (800) 440-6190 or fill out our contact form. WordPress is known for it’s compatibility, customizable features, and more. But what truly sets it apart from its CMS competitors, what really puts the icing on the cake are the plugins! There are a variety of ways to fill in any missing pieces with plugins that can take care of any problems that arise. Hit a snag? There’s a plugin for that! If your business is developing a content marketing strategy, having a WordPress website is a good place to start. 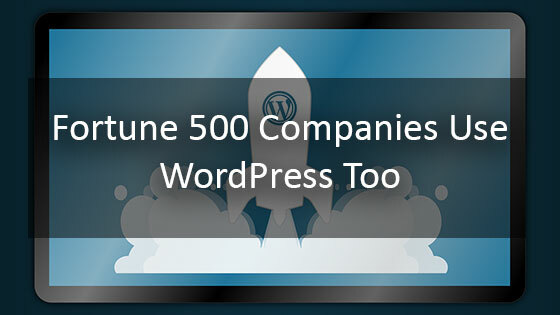 You’ll be in great company, joining the ranks of Fortune 500 companies. Any WordPress user knows that plugins are the name of the game. WordPress plugins allow you to gain access to WordPress functions that wouldn’t otherwise be available. If you install a plugin, you will quickly gain access to whatever it offers–enhancing your experience as a WordPress user and increasing the functionality of your website. 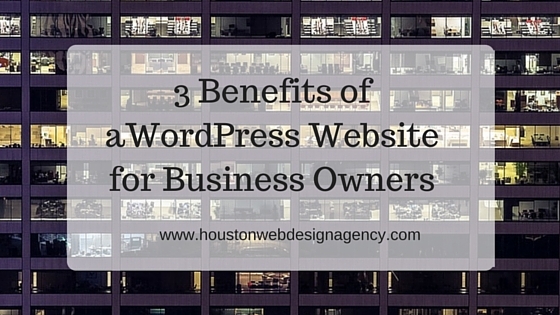 For many small business owners in Houston, their website means a great deal to their business. 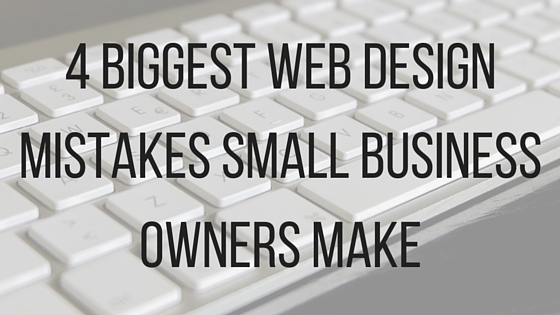 What do you think are the biggest mistakes that small business owners make when it comes to designing their own websites?